“As a Cinematography teacher, I am always looking for textbooks and David Landau’s Lighting for Cinematography is the best resource I’ve come across. 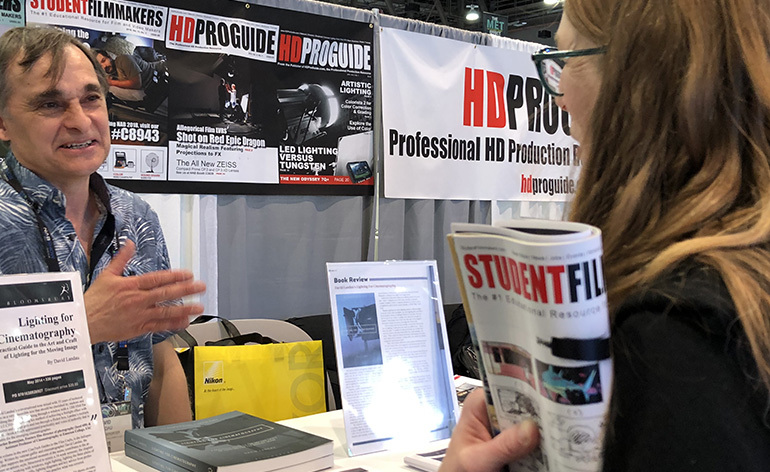 I think this book illuminates every aspect of lighting that I want to teach.” – James W O”Keeffe, IATSE local 600 cinematographer, adjunct professor of cinematography, University of Southern California, USA. David Landau teaches lighting and cinematography at Fairleigh Dickinson University, USA, and travels nationwide giving lighting seminars. A five-time Telly Award winner for lighting and cinematography and a member of IATSE local 52, the University Film & Video Association and Media Communications Association International, Landau continues to work in the lighting industry, shooting indie features and corporate videos, designing lights for theatre and working as one of the gaffers on the TV series Project Runway.